"With a push-me, pull-you tug of war in the markets between slower growth (and lower rates) and rising inflation (and rising rates) factions, mortgage rates have come to a virtual standstill at a place which leaves them only marginally attractive from a refinancing standpoint." "The Federal Reserve meets next week to ponder the state of the economy, whether there are indeed inflationary concerns which need addressing, and for the first time perhaps, how the end of QE2 is likely to play out. We'll not get any change to policy and none is warranted, but we'll probably get an expression of concern about price pressures. Aside from the Fed, a busy week of data is on tap. 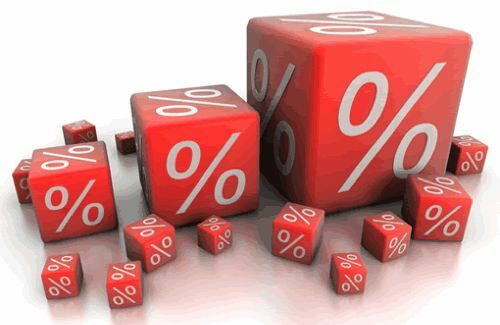 Amid signs of a little bit of cooling in the economy, mortgage rates managed to ease up a little bit this week and we have retreated from recent peaks. Rates are actually closer to their 2011 bottom than the top, but we've only managed to wander in a 30 basis point range over the past 16 weeks and we're pretty solidly in the middle at the moment. Rates should be pretty flat next week, but there might be an increase of a couple of basis points if the"